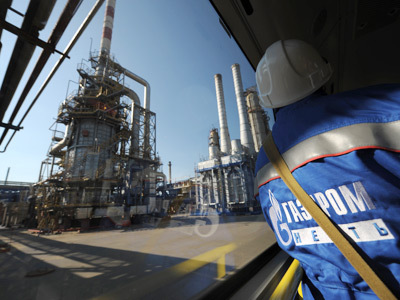 Gazprom’s sales are predicted to fall further in 2013 due to weak economic conditions and low demand in Europe, Fitch Ratings agency reports. ­Data for 2012 indicates that Gazprom’s sales to Europe and countries from the Former Soviet Union fell more than was expected. The agency said that in the second half of 2012 gas sales outside the Russian Federation accounted for 76% of its revenue but only 44% of its gas sales by volume. 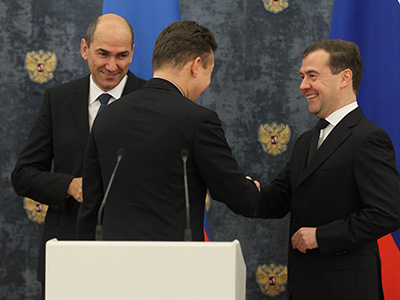 Europe and the FSU are key markets for Gazprom, which maintains a monopoly on Russian gas exports. 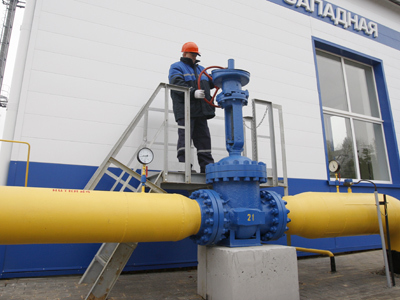 According to figures from the Russian Ministry of Energy the sale of Russian gas abroad, mainly to Europe and the FSU, fell by 8.7% to 186 cubic meters. 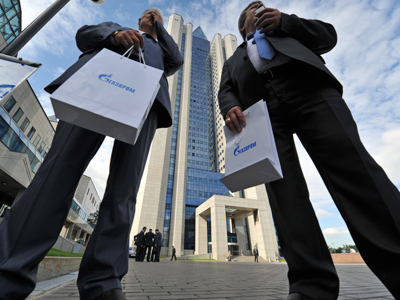 Gazprom had previously reported a 10% drop in sales to Europe and a 29% volume drop in sales to FSU countries in the first half of 2012. Fitch believes the drop in the volume of gas sold to Europe was partly due to litigation by some European gas buyers, price renegotiations and the compensation payments that followed. According to the agency, Gazprom will have to continue negotiating further concessions with those European buyers who may have alternative sources of gas supply. Currently Gazprom faces a European probe over alleged unfair competition and price fixing in the natural gas markets of some Eastern and Central European countries. Gazprom denies the allegations. The EU has attached significant weight to diversifying its supply of energy, including gas. The EU has prioritized the Southern Gas Corridor, which will transport gas from the Azerbaijani Shah Deniz field. It is expected that gas from this field will be transported via the Nabucco West and Trans Adriatic Pipeline (TAP). The Southern Gas Corridor projects represent a direct competition to Gazprom’s South Stream pipeline. 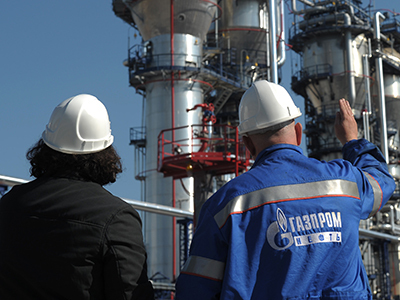 In November 2012 Gazprom and its partners signed off on the final investment to launch the project, and in December 2012 South Stream’s construction began in the southern Russian city of Anapa. The cost of the project is estimated at $16 billion, but could double to $32 billion when on shore sections are also included. In October 2012 the second stretch of the Nord Stream pipeline linking Russia and Germany was launched, doubling the pipeline’s capacity to 55 billion cubic meters per year. However, during the first 11 months of Nord Stream’s operation only 9 billion BCM of Russian gas, or about 30-40% of capacity, was delivered. Experts have voiced concerns that the South Stream project could be a white elephant, as demand in Europe declines and supplies though the Southern Gas Corridor projects and LNG from the Middle East compete with Russian natural gas supplies. However, Aleksandr Polygalov an analyst at the Institute on Natural Monopolies, told Deutsche Welle last December that it was not only economic considerations that were behind the South Stream project. “If there is no South Stream, the Nabucco project will take its place and Caspian Sea gas will get to Europe bypassing Russia,” he said.